To make your Raspberry Pi a security officer you can connect the camera's to a NAS. In my case I have a Synology NAS with Surveillance station installed. Surveillance station analyses the video stream and detects movement it will start recording 5 seconds prior to the detected movement. After it detects that nothing moves in the video stream, it will stop recording after 5 seconds. 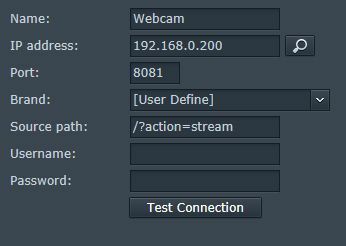 For each webcam you need to add a camera in Surveillance station.